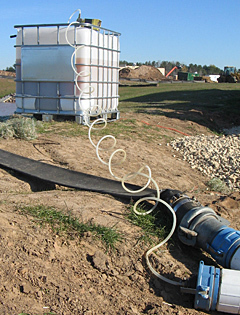 Eight million gallons of stormwater was treated and released off-site using a filtration chain of pumps, settling tanks, and sand filters. 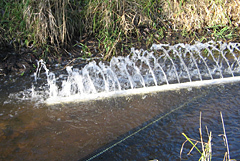 Discharge water was required to be less than NTU’s with no residual product present in the treated effluent. Filtered and treated water was monitored and tested hourly for NTU levels and residual Biostar-CH chitosan. The site was successfully de-watered without any negative environmental impact.